Brighton & Hove’s bike share scheme launched in September 2017. 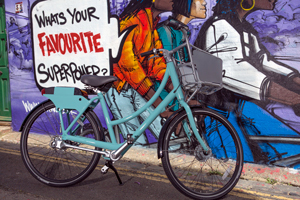 The system uses SoBi smartbikes which are available for hire in central Brighton & Hove stretching along Lewes Road towards Brighton University and the University of Sussex. For any enquiries about using the scheme please contact support@BTNBikeshare.com or call 01273 978096. Brighton & Hove City Council appointed Hourbike Ltd to operate the scheme in January 2017. The operator is responsible for managing and maintaining the service. Subject to local consultation and formal approval, it is planned to install these in autumn 2018. The Brighton & Hove bike share feasibility work was first undertaken in 2009, revisited in 2014 and the scheme was given the go-ahead in November 2015, following full funding approval. Infrastructure and start-up costs for the scheme are £1.45 million. £1.16 million is funded by Coast to Capital Local Enterprise Partnership and £290,000 is funded by Brighton & Hove City Council. Popular sites in the city, including the seafront and Brighton Station, were suggested as potential hubs with the scheme area extending along the A27 corridor and the University of Sussex and Brighton University campus sites at Falmer. Informal consultation on the hubs affecting street parking was carried out with residents, businesses and councillors in the direct vicinity of the sites from August to December 2016.